Now that the temperatures are finally starting to cool off a little in the evening, I've been thinking about pulling out some trans-seasonal throws, blankets and scarfs (mostly courtesy of my Mum's crochet and knitting skills). 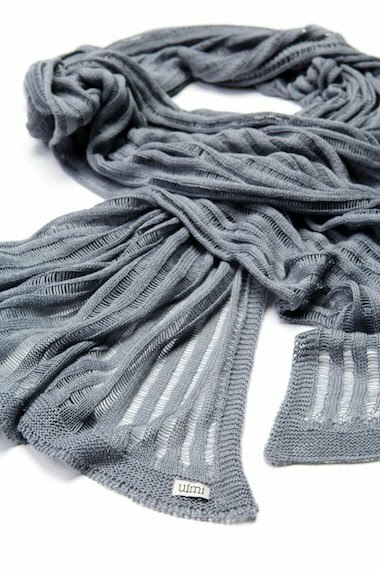 If you're not the knitting type and you're looking for some new goodies to brighten up your couch/bed/cot/neck, check out the lovely eco-friendly knitwear from Uimi. Locally designed and manufactured in Melbourne, Uimi creates a range of blankets, throws, scarves and children's products made from extra fine merino wool, certified organic cotton and other natural fibres. 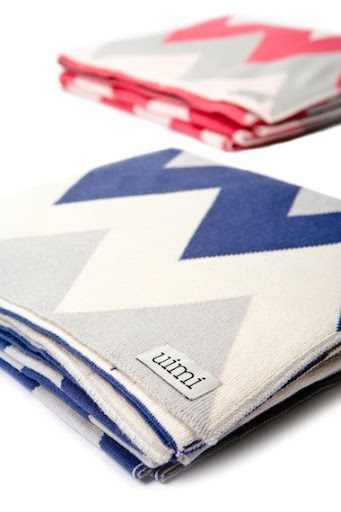 My favourite products are the chevron-striped kids blankets (both pink and blue) and the fun striped scarves. Mmm toasty. You can find Uimi knitwear at stockists around Australia and online. Thanks for sharing Sarah, I love the blankets. Love the look of that grey one. Looks so soft and comfy. My wallet does not thank you!! 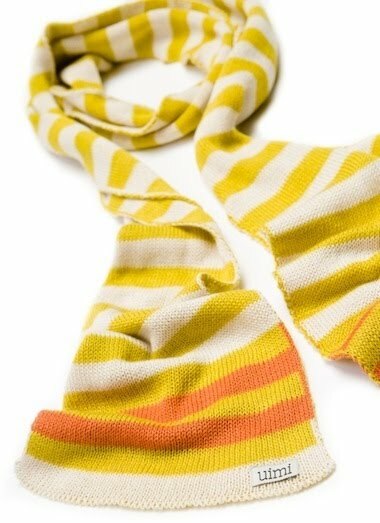 I love the lime color scarf! !